Hello everyone, Galo Orbea here! 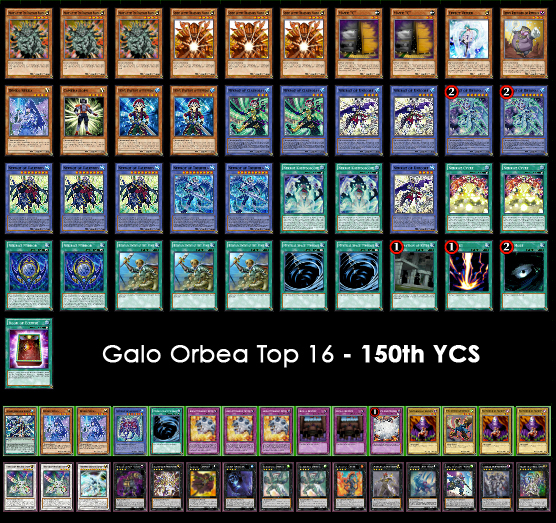 I was finally able to get my tenth premier top this past weekend at YCS Columbus. It was a great experience, being able to enjoy the great company of friends and finally accomplishing my goal of double digit tops, each with a different deck. 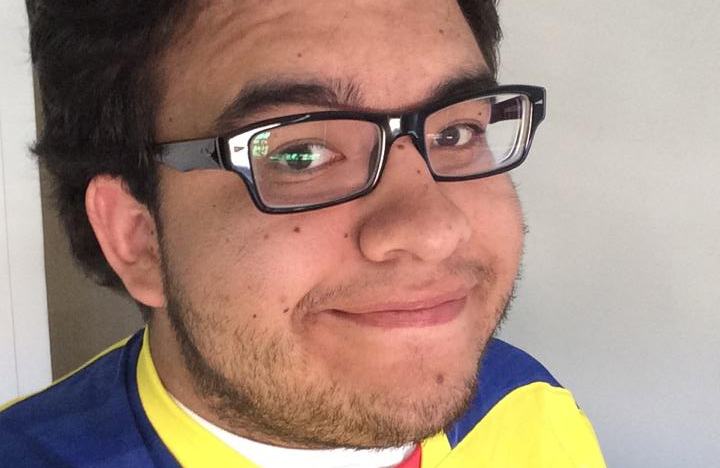 0 Sectarian of Secrets keeps Galo’s last picks secret for his WCQ. I was quite satisfied with the list, I may have taken a bit of a risk with the side against the mirror match, but as you will see it paid off in the end. It was a good build for the meta I walked into last weekend. The only changes I’m considering are maining Gungnir and depending on what I expect, choose between Bull Blader and Camaraclops. I might also put in an Artifact Lancea in my side. Game 1: He top decked El Shaddoll Fusion for game off Shaddoll Beast. Game 2: He got over my Stellarknight Constellar Diamond with Divine Dragon Felgrand, but Valkyrus got over it a turn later. Game 3: I got Trish to resolve twice. Game 1: First turn Towers, no out, got some information with MST. Game 2: Camaraclops comes in clutch to get rid of Spell Canceller. Game 1: First turn Towers. Game 2: I can’t deal with Lose 1 Turn plus double Fiendish Chain. Game 1/2: I get controlled by his traps due to my low resources. Game 1: First turn Towers. Yeah, I know, this was getting out of hand. Game 2: He flips a Soul Transition that gives him a card in hand, so I Trish him. Game 3: He makes me go first and I open Cairngorgon with set Decree and Kaleidomirror. He opens Helix and five backrow, he saw the Decree coming. Then he scooped when he saw Denko Sekka plus Kaleido/Unicore. Game 1: He didn’t open Towers, but I still lost. Game 2: I forget this game but I won pretty quickly. Game 3: He activates Torrential Tribute on my normal summon, clearing his board except his Qliphort Stealth on pendulum scale and doesn’t search for his Saqlifice since he knows I could Trish him then. I still summon Trish anyway to get damage going, putting him down to 3400. He draws Pot of Duality, completing his pendulum scale. Then I drew Denko Sekka for game! Game1: He is able to manage his resources better and a Mind Crush gave him the edge. Game 2: We agree to side out Vanity’s Emptiness, he goes first makes Lavalval Chain and completely forgets that he sided out Djinn. So he just stacks a Manju on top of his deck, sets a backrow and passes. I summon Senju, he chains Shared Ride, I search Clausolas, search Cycle and Djinn lock him. This and the next game, I won with my Side Deck cards, Bo Tang doesn’t want me to show you. With a 9-2 record, I finished 27th place after Swiss. Game 1: I trick him into thinking I didn’t have the second Trish. Game 2: I draw Senju to Dweller him, summon Brio and Valk for game. Game 1: Chaos Trap Hole, Effect Veiler, Mind Crush and Ritual Beast’s Bond crush my dreams. Game 2: I brick pretty hard with: 2 Unicore, Valk, Decree, MST, Cycle. He wins in a couple turns. All in all, it was a great event, special thanks to everyone who made it possible, everyone who supported me and let me borrow cards, you know who you are. Hope to be able to get further at the WCQ I choose to attend. Until then, take care everyone! Also check out my Player Profile.